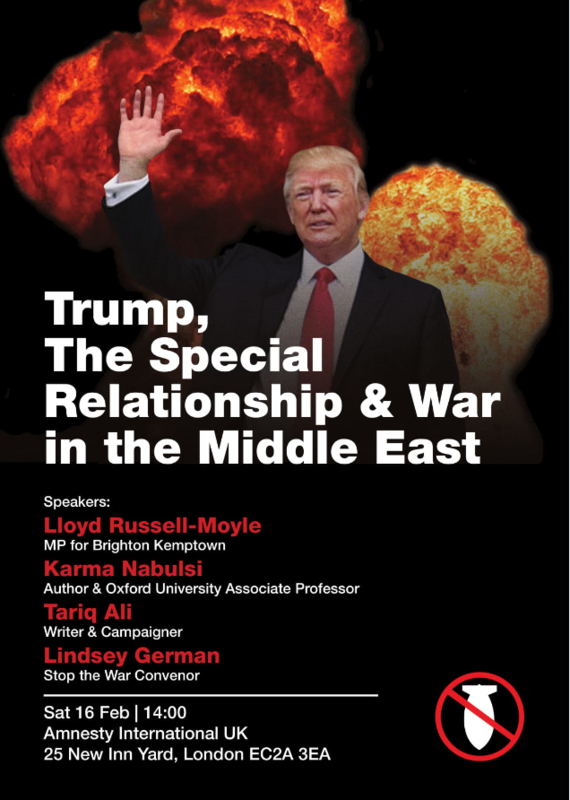 As well as the current shifting sands of Trump’s Middle East policy, the scrapping of the INF treaty will also undoubtedly be high on the agenda at our upcoming public meeting on 16th February, as will the attempted coup in Venezuela. In light of these recent events this is a hugely important meeting at a time when these monumental issues are being masked by the ongoing Brexit wrangling. 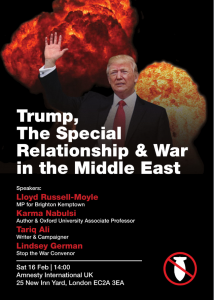 Stop the War stalwarts Lindsey German and Tariq Ali will be joined by the excellent campaigning MP for Brighton Kemptown, Lloyd Russell-Moyle, and author and Oxford University Professor, Karma Nabulsi.